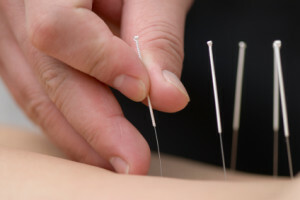 Traditional Chinese Medicine includes the practice of Acupuncture, Chinese Herbs, Asian Bodywork therapy such as Tui Na and Medical Qigong, and other accessory techniques including Cupping, Moxa, Gua sha, Electroacupuncture. It is a comprehensive health care system encompassing a variety of traditional complementary and alternative healthcare therapies that have been used for more than 3,000 years to diagnose and treat illness, prevent disease and improve the overall well-being. At Chicago InHealth Center, treatment plans are tailored to each individual patient by combining traditional acupuncture, Chinese herbs, and other accessory modalities to alleviate conditions. Acupuncture is one of the essential elements of Traditional Chinese Medicine. It is one of the oldest, most commonly used healing practices in the world, originating in China more than 3,000 years ago. Chinese Acupuncture is the insertion of very fine, sterile, stainless steel needles to stimulate specific points located along “meridians” on the body to elicit a predictable physiological response. These points relate to the functioning of different organs and are used to promote the proper movement of “Qi ”, or the energy in your body, for healing of a variety of disorders. Chinese herbal medicine includes the use of natural substances such as plants, roots, minerals and more. It is used to harmonize imbalances in the body and to enhance patient’s overall treatment plan. Herbal medicine include hand selected Chinese herbs that are combined and formulated specifically for each individual patient as well as finished herbal products. Call us (312) 949-1289 to schedule an appointment with one of our doctors.